^ Hannay, J. B. (1879). “On the Artificial Formation of the Diamond”. Proc. R. Soc. Lond. 30 (200–205): 450–461. doi:10.1098/rspl.1879.0144. JSTOR 113601. http://archive.org/details/philtrans04306699. ^ C. Royère (1999). “The electric furnace of Henri Moissan at one hundred years: connection with the electric furnace, the solar furnace, the plasma furnace?”. Annales pharmaceutiques françaises 57 (2): 116–30. PMID 10365467. ^ Moissan, H. (1894). “Nouvelles expériences sur la reproduction du diamant”. Comptes Rendus 118: 320. ^ Crookes, William (1909). Diamonds. London and New York's Harper Brothers. pp. 140 and up. http://www.farlang.com/diamonds/crookes_diamonds/page_003. ^ Ruff, O. (1917). “Über die Bildung von Diamanten”. Zeitschrift für anorganische und allgemeine Chemie 99 (1): 73–104. doi:10.1002/zaac.19170990109. ^ Nassau, K. (1980). Gems made by Man. Chilton Book Co. pp. 12–25. ISBN 0-8019-6773-2. ^ Hershey, J. Willard (2004). The Book of Diamonds: Their Curious Lore, Properties, Tests and Synthetic Manufacture. Kessinger Publishing. pp. 123–130. ISBN 1-4179-7715-9. http://books.google.com/?id=35eij1e1al8C&pg=PA123. ^ Hershey, J. Willard (1940). Book of Diamonds. Heathside Press, New York. pp. 127–132. ISBN 0-486-41816-2. http://www.farlang.com/diamonds/hershey-diamond-chapters/page_137. ^ a b Lonsdale, K. (1962). “Further Comments on Attempts by H. Moissan, J. B. Hannay and Sir Charles Parsons to Make Diamonds in the Laboratory”. Nature 196 (4850): 104. doi:10.1038/196104a0. ^ Feigelson, R. S. (2004). 50 years progress in crystal growth: a reprint collection. Elsevier. p. 194. ISBN 0-444-51650-6. http://books.google.com/?id=ZqwJk5QvG8gC&pg=PA194. ^ Parson, C. A. (1907). “Some notes on carbon at high temperatures and pressures”. Proceedings of the Royal Society of London 79a (533): 532. doi:10.1098/rspa.1907.0062. JSTOR 92683. http://archive.org/details/philtrans02170744. ^ C.H. Desch (1928). “The Problem of Artificial Production of Diamonds”. Nature 121 (3055): 799. doi:10.1038/121799a0. ^ a b Hazen, R. M. (1999). The diamond makers. Cambridge University Press. pp. 100–113. ISBN 0-521-65474-2. ^ a b Bovenkerk, H. P.; Bundy, F. P.; Chrenko, R. M.; Codella, P. J.; Strong, H. M.; Wentorf, R. H. (1993). “Errors in diamond synthesis”. Nature 365 (6441): 19. doi:10.1038/365019a0. ^ Hall, H. T. (1960). “Ultra-high pressure apparatus”. Rev. Sci. Instr. 31 (2): 125. Bibcode 1960RScI...31..125H. doi:10.1063/1.1716907. http://www.htracyhall.org/papers/19600162.pdf. ^ Bundy, F. P.; Hall, H. T.; Strong, H. M. and Wentorf, R. H. (1955). “Man-made diamonds”. Nature 176 (4471): 51. doi:10.1038/176051a0. http://www.htracyhall.org/papers/19550028.pdf. ^ a b Bovenkerk, H. P.; Bundy, F. P.; Hall, H. T.; Strong, H. M. and Wentorf, R. H. (1959). 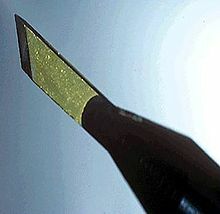 “Preparation of diamond”. Nature 184 (4693): 1094. doi:10.1038/1841094a0. http://www.htracyhall.org/papers/19590029.pdf. ^ Liander, H. and Lundblad, E. (1955). 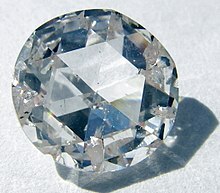 “Artificial diamonds”. ASEA Journal 28: 97. ^ General Electric v. Sung, 843 F. Supp. 776: "granting production injunction against Iljin Diamond" cited in Epstein, M. A. (1998). Epstein on intellectual property. Aspen Publishers Online. p. 121. ISBN 0-7355-0319-2. http://books.google.com/?id=e4Qb5EkASmUC&pg=PT121. ^ Hannas, W. C. (2003). The writing on the wall. University of Pennsylvania Press. pp. 76–77. ISBN 0-8122-3711-0. http://books.google.com/?id=96MPNdvDbpYC&pg=PA76. ^ a b R. C. Burns, V. Cvetkovic and C. N. Dodge (1990). “Growth-sector dependence of optical features in large synthetic diamonds”. Journal of Crystal Growth 104 (2): 257. doi:10.1016/0022-0248(90)90126-6. ^ a b Abbaschian, Reza; Zhu, Henry; Clarke, Carter (2005). “High pressure-high temperature growth of diamond crystals using split sphere apparatus”. Diam. Rel. Mater. 14 (11–12): 1916. doi:10.1016/j.diamond.2005.09.007. ^ Angus, John C. (1968). “Growth of Diamond Seed Crystals by Vapor Deposition”. J. Appl. Phys. 39 (6): 2915. doi:10.1063/1.1656693. ^ Deryagin, B. V. and Fedoseev, D. V. (1970). “Epitaxial Synthesis of Diamond in the Metastable Region”. Rus. Chem. Rev. 39 39 (9): 783. doi:10.1070/RC1970v039n09ABEH002022. ^ a b c Werner, M; Locher, R (1998). “Growth and application of undoped and doped diamond films”. Rep. Prog. Phys. 61 (12): 1665. doi:10.1088/0034-4885/61/12/002. ^ a b Osawa, E (2007). “Recent progress and perspectives in single-digit nanodiamond”. Diamond and Related Materials 16 (12): 2018. doi:10.1016/j.diamond.2007.08.008. ^ a b Galimov, É. M.; Kudin, A. M.; Skorobogatskii, V. N.; Plotnichenko, V. G.; Bondarev, O. L.; Zarubin, B. G.; Strazdovskii, V. V.; Aronin, A. S. et al. (2004). “Experimental Corroboration of the Synthesis of Diamond in the Cavitation Process”. Doklady Physics 49 (3): 150. doi:10.1134/1.1710678. ^ a b Ito, E. (2007). G. Schubert. ed. Multianvil cells and high-pressure experimental methods, in Treatise of Geophysics. 2. Elsevier, Amsterdam. pp. 197–230. ISBN 0-8129-2275-1. ^ Hall, H. T. (1958). “Ultrahigh-Pressure Research: At ultrahigh pressures new and sometimes unexpected chemical and physical events occur”. Science 128 (3322): 445–9. Bibcode 1958Sci...128..445H. doi:10.1126/science.128.3322.445. PMID 17834381. http://www.htracyhall.org/papers/19580097.pdf. ^ Loshak, M. G. and Alexandrova, L. I. (2001). “Rise in the efficiency of the use of cemented carbides as a matrix of diamond-containing studs of rock destruction tool”. Int. J. Refractory Metals and Hard Materials 19: 5. doi:10.1016/S0263-4368(00)00039-1. ^ Pal'Yanov, N.; Sokol, A.G.; Borzdov, M.; Khokhryakov, A.F. (2002). “Fluid-bearing alkaline carbonate melts as the medium for the formation of diamonds in the Earth's mantle: an experimental study”. Lithos 60 (3–4): 145. Bibcode 2002Litho..60..145P. doi:10.1016/S0024-4937(01)00079-2. 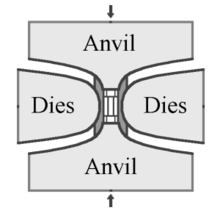 ^ a b Koizumi, S.; Nebel, C. E. and Nesladek, M. (2008). Physics and Applications of CVD Diamond. Wiley VCH. p. 50. ISBN 3-527-40801-0. http://books.google.com/?id=pRFUZdHb688C&pg=RA1-PA50. ^ Barjon, J.; Rzepka, E.; Jomard, F.; Laroche, J.-M.; Ballutaud, D.; Kociniewski, T.; Chevallier, J. (2005). “Silicon incorporation in CVD diamond layers”. Physica status solidi (a) 202 (11): 2177. doi:10.1002/pssa.200561920. ^ Kopf, R. F., ed (2003). State-of-the-Art Program on Compound Semiconductors XXXIX and Nitride and Wide Bandgap Semiconductors for Sensors, Photonics and Electronics IV: proceedings of the Electrochemical Society. 2003–2011. The Electrochemical Society. p. 363. ISBN 1-56677-391-1. http://books.google.com/?id=AICuflDe6LcC&pg=PA363. ^ Iakoubovskii, K.; Baidakova, M.V. ; Wouters, B.H. ; Stesmans, A.; Adriaenssens, G.J. ; Vul', A.Ya. ; Grobet, P.J. (2000). “Structure and defects of detonation synthesis nanodiamond”. Diamond and Related Materials 9 (3–6): 861. doi:10.1016/S0925-9635(99)00354-4. ^ Decarli, P. and Jamieson, J. (Jun 1961). “Formation of Diamond by Explosive Shock”. Science 133 (3467): 1821–1822. doi:10.1126/science.133.3467.1821. PMID 17818997. ^ Dolmatov, V. Yu. (2006). “Development of a rational technology for synthesis of high-quality detonation nanodiamonds”. Russian Journal of Applied Chemistry 79 (12): 1913. doi:10.1134/S1070427206120019. ^ Khachatryan, A.Kh. ; Aloyan, S.G.; May, P.W. ; Sargsyan, R.; Khachatryan, V.A. ; Baghdasaryan, V.S. (2008). “Graphite-to-diamond transformation induced by ultrasonic cavitation”. Diam. Relat. Mater. 17 (6): 931. doi:10.1016/j.diamond.2008.01.112. ^ Zoski, Cynthia G. (2007). Handbook of Electrochemistry. Elsevier. p. 136. ISBN 0-444-51958-0. http://books.google.com/?id=2g5GJtBFwo0C&pg=PA136. ^ a b Blank, V.; Popov, M.; Pivovarov, G.; Lvova, N.; Gogolinsky, K.; Reshetov, V. (1998). 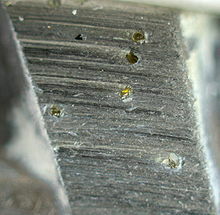 “Ultrahard and superhard phases of fullerite C60: comparison with diamond on hardness and wear”. Diamond and Related Materials 7 (2–5): 427. doi:10.1016/S0925-9635(97)00232-X. オリジナルの2011年7月21日時点によるアーカイブ。. https://web.archive.org/web/20110721225258/http://nanoscan.info/wp-content/publications/article_03.pdf. ^ Read, P. G. (2005). Gemmology. Butterworth-Heinemann. pp. 49–50. ISBN 0-7506-6449-5. http://books.google.com/?id=t-OQO3Wk-JsC&pg=PA49. ^ Neves, A. J. and Nazaré, M. H. (2001). Properties, Growth and Applications of Diamond. IET. pp. 142–147. ISBN 0-85296-785-3. http://books.google.com/?id=jtC1mUFZfQcC&pg=PA143. ^ Sumiya, H. (2005). “Super-hard diamond indenter prepared from high-purity synthetic diamond crystal”. Rev. Sci. Instrum. 76 (2): 026112. doi:10.1063/1.1850654. ^ Yan, Chih-Shiue; Mao, Ho-Kwang; Li, Wei; Qian, Jiang; Zhao, Yusheng; Hemley, Russell J. (2005). “Ultrahard diamond single crystals from chemical vapor deposition”. Phys. Stat. Solidi (a) 201 (4): R25. doi:10.1002/pssa.200409033. ^ Ekimov, E. A.; Sidorov, V. A.; Bauer, E. D.; Mel'Nik, N. N.; Curro, N. J.; Thompson, J. D.; Stishov, S. M. (2004). “Superconductivity in diamond”. Nature 428 (6982): 542–5. Bibcode 2004Natur.428..542E. doi:10.1038/nature02449. PMID 15057827. http://www.nims.go.jp/NFM/paper1/SuperconductingDiamond/01nature02449.pdf. ^ Catledge, S. A.; Vohra, Yogesh K. (1999). “Effect of nitrogen addition on the microstructure and mechanical properties of diamond films grown using high-methane concentrations”. Journal of Applied Physics 86: 698. doi:10.1063/1.370787. ^ Wei, Lanhua; Kuo, P.; Thomas, R.; Anthony, T.; Banholzer, W. (1993). “Thermal conductivity of isotopically modified single crystal diamond”. Phys. Rev. Lett. 70 (24): 3764–3767. Bibcode 1993PhRvL..70.3764W. doi:10.1103/PhysRevLett.70.3764. PMID 10053956. ^ Holtzapffel, C. (1856). Turning And Mechanical Manipulation. Holtzapffel. pp. 176–178. ISBN 1-879335-39-5. http://books.google.com/?id=omwPAAAAYAAJ&pg=PA178. ^ Coelho, R.T.; Yamada, S.; Aspinwall, D.K. ; Wise, M.L.H. (1995). “The application of polycrystalline diamond (PCD) tool materials when drilling and reaming aluminum-based alloys including MMC”. International journal of machine tools & manufacture 35 (5): 761. doi:10.1016/0890-6955(95)93044-7. ^ Ahmed, W.; Sein, H.; Ali, N.; Gracio, J.; Woodwards, R. (2003). “Diamond films grown on cemented WC-Co dental burs using an improved CVD method”. Diamond and Related Materials 12 (8): 1300. doi:10.1016/S0925-9635(03)00074-8. ^ M. Sakamoto, J. G. Endriz, D. R. Scifres (1992). “120 W CW output power from monolithic AlGaAs (800 nm) laser diode array mounted on diamond heatsink”. Electronics Letters 28 (2): 197–199. doi:10.1049/el:19920123. ^ Harris, D. C. (1999). Materials for infrared windows and domes: properties and performance. SPIE Press. pp. 303–334. ISBN 0-8194-3482-5. ^ “The diamond window for a milli-wave zone high power electromagnetic wave output”. New Diamond 15: 27. (1999). ^ Nusinovich, G. S. (2004). Introduction to the physics of gyrotrons. JHU Press. p. 229. ISBN 0-8018-7921-3. ^ Khounsary, Ali M.; Smither, Robert K.; Davey, Steve; Purohit, Ankor (1992). “Diamond Monochromator for High Heat Flux Synchrotron X-ray Beams”. Proc. SPIE 1739: 628–642. Bibcode 1993SPIE.1739..628K. doi:10.1117/12.140532. オリジナルの2008年9月17日時点によるアーカイブ。. https://web.archive.org/web/20080917115145/http://www.aps.anl.gov/Science/Publications/lsnotes/ls215/ls215.html 2009年5月5日閲覧。. ^ Jackson, D. D.; Aracne-Ruddle, C.; Malba, V.; Weir, S. T.; Catledge, S. A.; Vohra, Y. K. (2003). “Magnetic susceptibility measurements at high pressure using designer diamond anvils”. Rev. Sci. Instrum. 74 (4): 2467. doi:10.1063/1.1544084. ^ Denisenko, A. and Kohn, E. (2005). “Diamond power devices. Concepts and limits”. Diamond and Related Materials 14 (3–7): 491. doi:10.1016/j.diamond.2004.12.043. ^ Koizumi, S.; Watanabe, K; Hasegawa, M; Kanda, H (2001). “Ultraviolet Emission from a Diamond pn Junction”. Science 292 (5523): 1899–901. doi:10.1126/science.1060258. PMID 11397942. ^ Isberg, J.; Hammersberg, J; Johansson, E; Wikström, T; Twitchen, DJ; Whitehead, AJ; Coe, SE; Scarsbrook, GA (2002). “High Carrier Mobility in Single-Crystal Plasma-Deposited Diamond”. Science 297 (5587): 1670–2. doi:10.1126/science.1074374. PMID 12215638. ^ Isberg, J.; Gabrysch, M.; Tajani, A. and Twitchen, D.J. (2006). “High-field Electrical Transport in Single Crystal CVD Diamond Diodes”. Advances in Science and Technology 48: 73. doi:10.4028/www.scientific.net/AST.48.73. ^ Railkar, T. A.; Kang, W. P.; Windischmann, Henry; Malshe, A. P.; Naseem, H. A.; Davidson, J. L.; Brown, W. D. (2000). “A critical review of chemical vapor-deposited (CVD) diamond for electronic applications”. Critical Reviews in Solid State and Materials Sciences 25 (3): 163. doi:10.1080/10408430008951119. ^ Bucciolini, M.; Borchi, E; Bruzzi, M; Casati, M; Cirrone, P; Cuttone, G; Deangelis, C; Lovik, I et al. (2005). “Diamond dosimetry: Outcomes of the CANDIDO and CONRADINFN projects”. 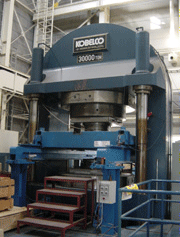 Nuclear Instruments and Methods A 552: 189. doi:10.1016/j.nima.2005.06.030. ^ Benmoussa, A; Soltani, A; Haenen, K; Kroth, U; Mortet, V; Barkad, H A; Bolsee, D; Hermans, C et al. (2008). “New developments on diamond photodetector for VUV Solar Observations”. Semiconductor Science and Technology 23 (3): 035026. doi:10.1088/0268-1242/23/3/035026. ^ Panizza, M. and Cerisola, G. (2005). “Application of diamond electrodes to electrochemical processes”. Electrochimica Acta 51 (2): 191. doi:10.1016/j.electacta.2005.04.023. ^ Nebel, C.E. ; Uetsuka, H.; Rezek, B.; Shin, D.; Tokuda, N.; Nakamura, T. (2007). “Inhomogeneous DNA bonding to polycrystalline CVD diamond”. Diamond and Related Materials 16 (8): 1648. doi:10.1016/j.diamond.2007.02.015. ^ Gandini, D. (2000). “Oxidation of carbonylic acids at boron-doped diamond electrodes for wastewater treatment”. Journal of Applied Electrochemistry 20 (12): 1345. doi:10.1023/A:1026526729357. ^ Michaud, P.-A. (2000). “Preparation of peroxodisulfuric acid using Boron-Doped Diamond thin film electrodes”. Electrochemical and Solid-State Letters 3 (2): 77. doi:10.1149/1.1390963. ^ a b Yarnell, Amanda (2 February 2004). “The Many Facets of Man-Made Diamonds”. Chemical & Engineering News (American Chemical Society) 82 (5): 26–31. ISSN 0009-2347. http://pubs.acs.org/cen/coverstory/8205/8205diamonds.html. ^ Walker, J. (1979). “Optical absorption and luminescence in diamond”. Rep. Prog. Phys. 42 (10): 1605. Bibcode 1979RPPh...42.1605W. doi:10.1088/0034-4885/42/10/001. A. S. Barnard (2000). The diamond formula: diamond synthesis-a gemological perspective. Butterworth-Heinemann. ISBN 0-7506-4244-0. http://books.google.com/?id=WQp_rEWV2XUC&printsec=frontcover. Michael O'Donoghue (2006). Gems: their sources, descriptions and identification. Butterworth-Heinemann. ISBN 0-75-065856-8. http://books.google.com/?id=ZwcM5H-wHNoC&pg=PA474. + * Michael O'Donoghue (2006). Gems: their sources, descriptions and identification. Butterworth-Heinemann. ISBN 0-7506-5856-8. http://books.google.com/?id=ZwcM5H-wHNoC&pg=PA474. K. E. Spear and J. P. Dismukes (1994). Synthetic diamond. Wiley-IEEE. ISBN 0471535893. http://books.google.com/?id=RR5HF25DB7UC&pg=PA310. + * K. E. Spear and J. P. Dismukes (1994). Synthetic diamond. Wiley-IEEE. ISBN 0-471-53589-3. http://books.google.com/?id=RR5HF25DB7UC&pg=PA310. J. Davis (2003). “The New Diamond Age”. Wired Magazine (11.09). http://www.wired.com/wired/archive/11.09/diamond.html 2009年6月6日閲覧。.